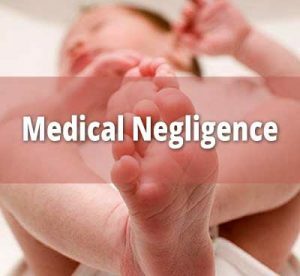 On the intervention of the National Human Rights Commission(NHRC), Uttar Pradesh government confirmed the reported allegations that a 10-month-old child died due to medical apathy and negligence of the doctors and staff of the District Government Hospital in Bahraich on August 9 last year. The state government has informed that disciplinary action has been initiated against three doctors including the In-charge Chief Medical Officer, a Pediatrician EMO, who were prima facie found guilty. The services of a staff nurse and a contract sweeper has also been terminated. Another staff nurse has been suspended and departmental action has been initiated against her and another staff nurse.The Commission in a statement here said that taking on record the report of the state government, it has been observed that it is a clear case of violation of human rights of the child who lost life due to the negligent officials. It has recommended that the State Government pay monetary relief of Rs 1 lakh the next of kin of the child.As per the material on record, a 10-month-old child, suffering from high fever, was brought to the Children’s Ward at the District Government Hospital in Bahraich. The nurse allegedly asked for money to get the documents in order. The sweeper of the Children’s Ward asked for the bribe to place the child on the bed and the next morning, a medical assistant came and asked for money for a crucial injection, which was required for the treatment of the child. The hospital in fact, does not charge for it. After a long argument, the injection was brought but unfortunately, before it could be administered, the child succumbed to his illness.The Commission had taken suo motu cognizance of the incident on August 11, last year on the basis of a media report. Issuing the notice, the Commission had observed that the incident raises serious issue of violation of right to life of poor patients, who approach the government hospitals for treatment. The government hospitals are approached by general public, especially the poor people, who cannot afford expensive treatment at private hospitals. Timely treatment in this case, could have saved a precious human life. According to the media report, the father of the child is a labourer. He had alleged that his child died due to delayed treatment as he could not bribe the hospital staff. Reportedly, the Doctor-in-Charge at the Bahraich District Hospital had stated that there was no delay in giving the injection.